I ran across a news clip, which really unsettled me. 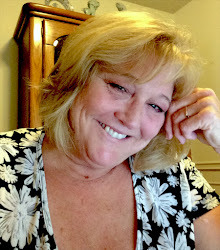 Even though the event took place in July of this year, I'm compelled to write about it. Maybe you heard about it too. On the other side of the world in Tunisia, Egypt a a young man's beheading was shown on Egyptian TV—Egypt Today, because he converted to Christianity. Consider Kathie Lee, on MSNBC's Today Show, running a clip of a Christian who converted to Muslim, loosing his head here in America . . . it just wouldn't happen. Dan Wooding from GodReports.com stated, "The footage shows a young man being held down by masked men with a knife to his throat. One man chants a number of Muslim prayers in Arabic, mostly condemning Christianity. The man holding the knife to the Christian convert’s throat begins to cut, slowly severing the head amid cries of “Allahu Akbar” (“god is great”)." Another YouTube video asserts this incident was " . . . fabricated by Tawfiq Okasha." It said that Tawfiq often fabricates videos of the Islamists and Muslim brotherhood. Also the video stated that the guy was accused of "high treason against Iraq," not because he converted to Christianity. On the contrary it takes just a little research to find that the radical Muslims or even family members will mark for death those Muslims who convert to Christianity. The Bible tells us that when someone converts to Christianity the Heavenly Host celebrate. Luke, a doctor and an apostle of Christ Jesus wrote, "In the same way, I tell you, there is rejoicing in the presence of the angels of God over one sinner who repents," (Luke 15:10). That celebration takes place among the Heavenly Host for anyone who repents and places faith in the Incarnate God who came in the flesh to save humanity (see John 3:16). Heaven not only celebrates a convert but even in death The Word in Psalm 116:15 says, "Precious in the sight of the LORD [is] the death of his saints." This doesn't mean God is gloating over the death of his children or the way they die . . . it means he is glad to welcome His children home. The word precious is yaqar, and the Strong's Lexicon translates the word precious as: 1) valuable, prized, weighty, precious, rare, splendid. That is what we are to God the Father in life or death. It's perplexing that on one side of the world a young man can have his head severed from his body because of his choice of belief; and on my side of the world people have the freedom to choose their religion without the fear of death. What a contrast. Although we know horrific occurrences happen to humanity all the time—all around the world, but to air his death on TV is outrageous. It outraged me that a group of people decided this man needed to die because of his faith. Like the Holocaust, men, women, and children of all ages, murdered because of who they were and how they believed. Pastor Li De Xian from Mainland China in 1990 said, "Humanly speaking, we know that no one likes to suffer physically. But I know that if the Lord leads me into it, He will give me the strength to survive it," (Jesus Freaks dc Talk and The Voice of the Martyrs; Albury Publishing, 1999). God must infuse martyred Christians with incredible faith and strength. If you haven't read, Jesus Freaks and The Voice of the Martyrs by dc Talk, it's certainly worth a read. There among its pages are powerful stories of men and women martyred for their Christian belief. They amaze me. I can't even begin to know the depth of their faith in the face of death. Matter of fact, in my humble opinion, I don't think most American Christians do either. Stephen, a preacher of the gospel of Christ, rebuked the Jews for their unbelief. He proclaimed, as he was "full of the Holy Spirit." The Bible says he, "looked up to heaven and saw the glory of God, . . . "I see," he said, "heaven open and the Son of Man standing at the right hand of God." This upset the listeners who then decided Stephen should be stoned. And stone him they did. Just before Stephen died from the blows of the rocks, he prayed, "Lord Jesus, receive my spirit . . . Lord, do not hold this sin against them." Then he died, (See Acts 7: 54-60). Now how could he do that but by being empowered by the Holy Spirit and deeply knowing the One True God? Ivan "Vanya" Moiseyev who was martyred in the U.S.S.R. in 1972 penned, "Angels are transparent. If an angel stands before you with a man behind him, the presence of the angel does not keep you from seeing the man. On the contrary: Looking at a man through an angel makes him more beautiful. I see my torturers through an angel. In that way, even they become lovable." (Jesus Freaks dc Talk and The voice of the Martyrs; Albury Publishing, 1999). One could not proclaim such a thing without audacious faith and a deep understanding and knowing who his God is. 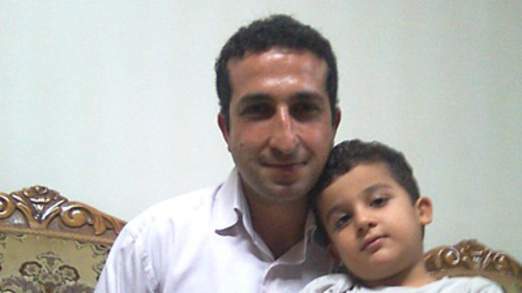 Another occurrence, which has pulled at my heartstrings, is Pastor Youcef Nadarkhani, a Christian brother who is Iranian. Even though he never practiced the Muslim religion, he was sentenced to be hanged. For now, his death sentence has been annulled, according to Sky News, yet he might still be hanged. In an article by Tim Marshall, a foreign affairs editor, he wrote, "In 2009, he [Pastor Youcef Nadarkhani] fell foul of the authorities when he challenged the law which insists that all schools should teach Islam. He was arrested in October 2009 and a year later was sentenced to death for apostasy on a charge which has doubtful legality in the Iranian civil legal system, but which is underpinned by sharia law." That would be like those who want Creation taught in our public schools being thrown in jail and sentenced to death for opposing Evolution. I am grateful I live in America where I have the freedom, thus far, to confess my faith in Christ without fear of losing my head. Although dislike for Christians and what they stand for is challenged in America daily. Take time to listen closely to the liberal news, movies, and some TV shows. Jesus said that they would hate us because of Him (see Matthew 10:2 & 13:13). It's inevitable. This requires tenacity for Christians. The Bible says, "For our battle is not against flesh and blood but against the rulers, against the authorities, against the powers of this dark world and against the spiritual forces of evil in the heavenly realms," (Ephesians 6:12). In persecution Christians are encouraged to, ". . . not be afraid of those who kill the body but cannot kill the soul. Rather be afraid of the one who can destroy both soul and body in hell (10:29). That certainly is a faith thing and the working of God's grace. I have no idea how I would respond if faced with death because I am a Christian. I'd liked to think I would react admirable and worthy of my Christian faith. I hope the young man from Tunisia, Egypt had a vision like Stephen did. I pray that his death, if it was because he converted to Christianity, was not in vain but will explode the Gospel of Christ Jesus in the Middle East. The Iranian authorities gave Pastor Nadarkhani three occasions to renounce his Christianity but he refused saying, "I am resolute in my faith and Christianity and have no wish to recant." I'd love to know your thoughts on this subject? Do you believe Christians are persecuted here in United States of America? If so, in what ways?